Movers Transport has been trading since 1985, progressing from small beginnings to becoming a fully national and international removals company. During that time, we’ve forged a strong reputation for being the premier removal company in Manchester, Stockport and the surrounding areas. We provide removals to and from the Manchester area. We may have all of the modern removals equipment at our disposal, but there’s more to our service than the removal vans. House removals can be challenging for any family, so Movers Transport will often provide access to an estimator who can help with the planning of the move. House removals in Manchester and Stockport don’t have to be a painful experience. With Movers Transport, your move will be seamless – letting you focus on your family and your new home. Removals can be very stressful, whether it’s local, national or international removals in Manchester or further afield. When you work with Movers Transport, all of the hassle simply fades away. We can move anything from small single items to large-scale corporate removals. Movers Transport are the ideal partner to handle your international removals. Our base is conveniently situated in Manchester – a 26,000 square foot warehouse and office facility with all of the tools that we need. Our resources allow us to distribute everything from a single pallet to full 48 pallet loads. Every removal job will have its own requirements, with some being more difficult than others. If your house removal could benefit from using our storage facilities then Movers Transport is here for you. With over 20,000 square feet of secure storage facilities, we can accommodate you whatever your requirements may be. Would you move with anyone else? Getting a quote from us is easy. 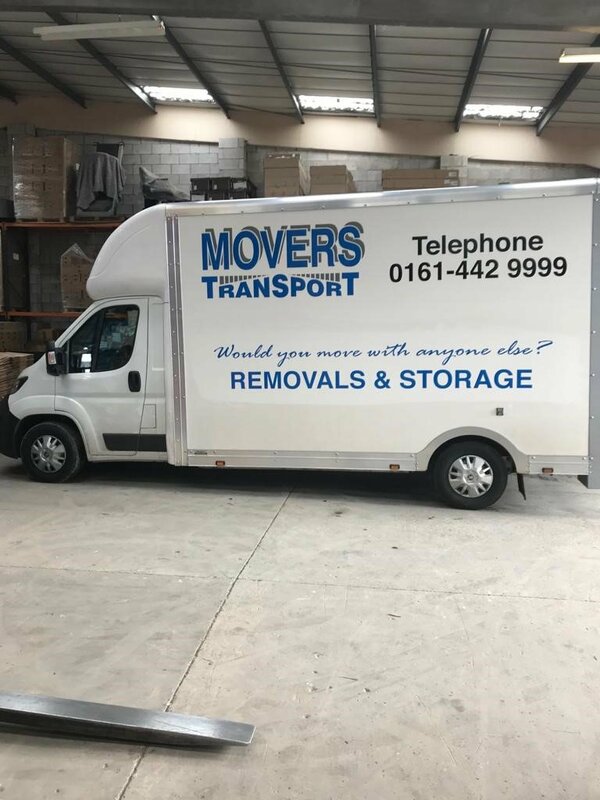 Either fill out the quick quote form on the right or contact our experts on 0161 442 9999 for any removals in Manchester, Stockport or beyond. Get a Quick Quote in Seconds.